Ernest Hemingway's doppelganger's name too is Hemingway! Stories about doppelgangers of celebrities are common in internet. 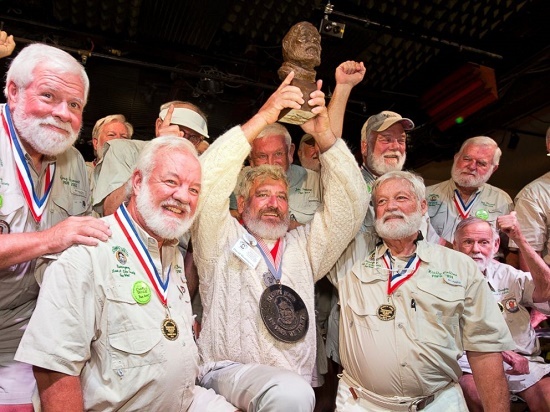 This is about Dave, to specific, Dave Hemingway who has been chosen as the look-alike of American novelist Ernest Miller Hemingway during the 36th Annual Ernest “Papa” Hemingway Look-Alike Contest held in Florida last week. According to Florida Sun Sentinel, Dave beat 139 competitors to win the contest that was held at the Sloppy Joe’s Bar – a tavern which Ernest Hemingway used to frequent. Dave does not have any blood relation with Ernest and he does not write. However he shares the legendary writer’s appearance. “I do feel like Ernest because I’m in the same town that he lived in for so many years,”CBS Miami quoted him. “I like to fish, I like to drink a little bit, I like women and I just like having a good fun time.” he said. The contest is the part of Annual Hemingway Days festival which seeks to celebrate Ernest Hemingway’s legacy. He is human but happier being a GOAT!